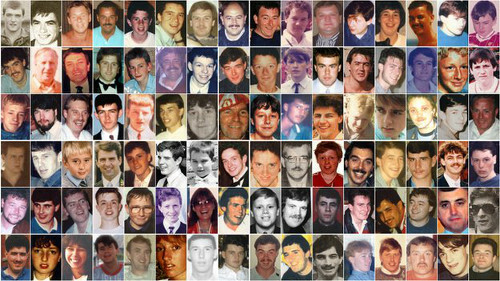 An 18-year-old Hillsborough victim may have survived for more than an hour after the crush, pathologists told the inquests. The court, in Birchwood Park, Warrington, heard evidence about Christopher Devonside, from Formby. Footage showed him lying on a pile of casualties at the front of the terraces at 3.17pm. He was then seen being carried onto the pitch at 3.27pm and briefly assessed by off-duty radiology registrar Dr Matthew Bull, before being taken further up the pitch, placed on a hoarding and carried to the gym. The court heard he was recorded as being confirmed dead at 5pm and there was no evidence any attempts were made to resuscitate him. Forensic pathologist Dr Nat Cary said Christopher’s post mortem report showed a greatly increased brain weight and described his brain as swollen. He said that could give a clue as to the time of his death. Dr Cary said: “I think that may be a matter for the jury to resolve, in the end. “As was described in the overview, a great elevation in brain weight would tend to suggest that someone had survived for more than an hour if that elevation in brain weight was due to genuine cerebral oedema. He was not able to say when, in between 3pm and 5pm, Christopher’s heart stopped. But, intensive care expert Professor Jerry Nolan said he thought it was likely that Christopher was in cardiorespiratory arrest - with no heartbeat and no breathing - when he was assessed on the pitch by Dr Bull. Footage showed Dr Bull assessed the teenager for no longer than 10 or 11 seconds and then appeared to be interrupted by a man who gestured for Christopher to be moved up the pitch. The inquests also heard about Christopher’s friend Simon Bell, 17, who was with him in the pen. The Crosby teenager was shown on footage being carried out of the pen at 3.28pm and given CPR on the pitch. Prof Nolan said there was no evidence of a formal assessment of Simon’s condition. The footage appeared to show a man slapping his face as he lay on the pitch. He said he thought it was likely that Simon was in cardiorespiratory arrest on the pitch and that was why CPR was carried out. He added: “Clearly, it is possible that he was either in respiratory arrest but with a heartbeat or, indeed, that he was breathing and had a heartbeat. He could not say when Simon went into cardiac arrest before his death was confirmed at 4.15pm. The pathologists told the court that an autopsy report for 19-year-old Colin Ashcroft, from Warrington, was missing some details which might have made it easier for them to draw conclusions. The report, which coroner Sir John Goldring told the court was not “lengthy”, included a description of a ruptured blood vessel. Dr Cary said the report might suggest Colin had died from traumatic asphyxia. He also noted that bleeding in an artery to the heart was recorded, but he was not sure whether it may have been caused in the crush or by CPR. He said a description of rib fractures may have given more information about the injury, but rib fractures were not mentioned in the report. The court heard Colin was carried from the pen at 3.20pm and attempts at CPR were made on the pitch. He was carried across the pitch at 3.25pm and confirmed dead at 4.05pm. 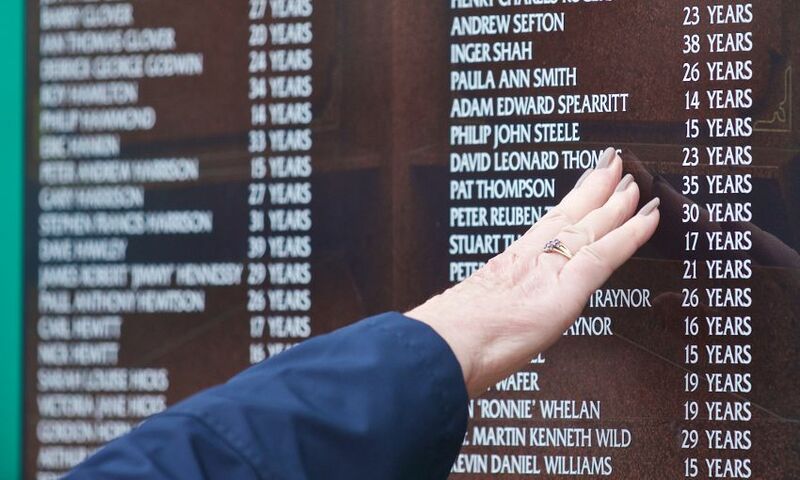 A Hillsborough victim was given “textbook” chest compressions by an off-duty ambulance worker on the pitch, the inquests heard. The jury heard 26-year-old Paul Hewitson, from Crosby, had said “get me out” to friend Terrence Moore after a barrier broke in pen three during the crush. Mr Moore later pulled Paul out from the bottom of a pile of casualties. Footage showed him on the pitch at 3.21pm being given CPR by off-duty GP Michael Hutson and Andrew Lawson - a part time ambulance worker who was working as a waiter at the ground on the day. Mr Lawson was seen giving chest compressions. He said he thought Paul was in cardiac arrest by the time the video showed him on the pitch. Pathologists said the post-mortem showed Paul was likely to have suffered from traumatic asphyxia - but it was not clear whether that was in the initial crush or while in the pile of casualties. Dr Nat Cary said there were two possible ways for crush asphyxia to develop. He agreed that if that was the case his life might have been saved if he was taken out of the pile sooner.